The Grapes Hotel at 20 Water Street. This pub has been demolished and the area is now a car park. I have noticed that this photo is placed incorrectly on the map. 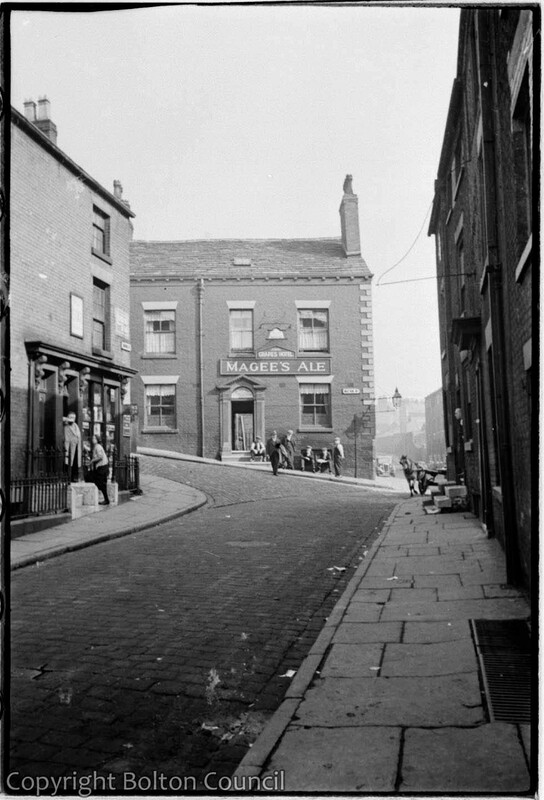 Water street used to cross Brown Street/Well Street and emerge at Folds Road. This picture shows the interception of these streets, not lower down Water Street as on the map.